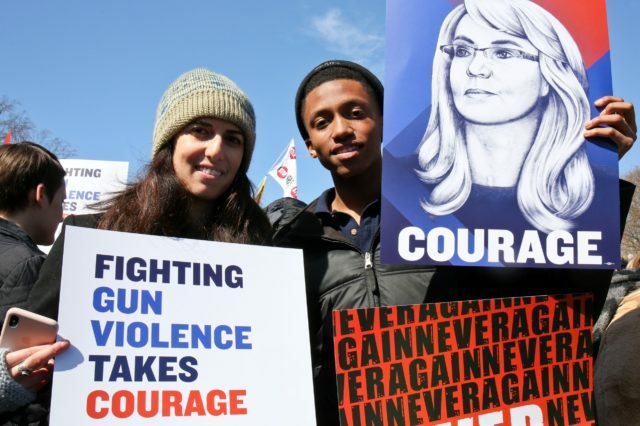 Since 2013, Giffords has helped write, pass, and enact legislation that is reducing gun violence and saving lives. Against fierce opposition, we have helped pass more than 290 new gun safety laws in 45 states and Washington DC. In the last year alone, 67 new gun safety laws were signed into law in 26 states and Washington DC, making this one of the most momentous years in the history of the gun violence prevention movement. And during the historic 2018 midterm elections, we helped elect a new gun safety majority to the US House of Representatives and defeated gun lobby candidates nationwide. We rallied. We voted. We’re just getting started. The politics around gun safety has shifted dramatically in recent years. Our political program has helped elevate gun safety from a third rail to a top electoral issue in some of the nation’s most competitive campaigns. The proof is in the numbers. During the 2018 election cycle, we called out lawmakers who were bought and paid for by the gun lobby with an aggressive campaign of nearly $7 million. We outspent the NRA—even in deep red states like Texas. We endorsed over 300 candidates up and down the ballot in 34 states, and 256 of them won. We helped vote out 40 gun lobby politicians out of Congress. And we helped register more than 60,000 young people to vote. 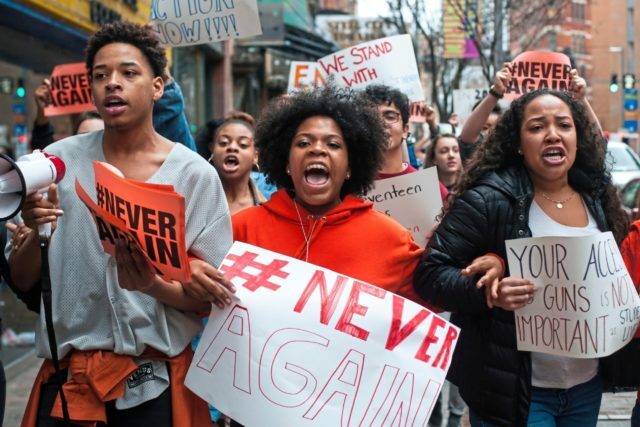 Millions of voters—young and old, Democrat and Republican, urban and suburban—rallied for stronger gun laws and the candidates who support them. And now, we’re getting to work. 2018 made one thing clear: Americans are ready to address gun safety and reject the gun lobby’s dangerous agenda. We’ve been fighting to save lives since 2013. Learn about some of the milestones along the way.